Here you’ll find over 25 cute and kitsch recipes for festive cookies, from traditional favourites to creative recipes, both of which make delightful gifts. There is nothing as cosy as a day spent baking in the festive season—filling the house with the scent of warm, sweet dough and producing delicious treats that raise a smile even before a single bite is taken out of them! The book opens with packaging and display ideas, frosting hints and tips and basic recipes. 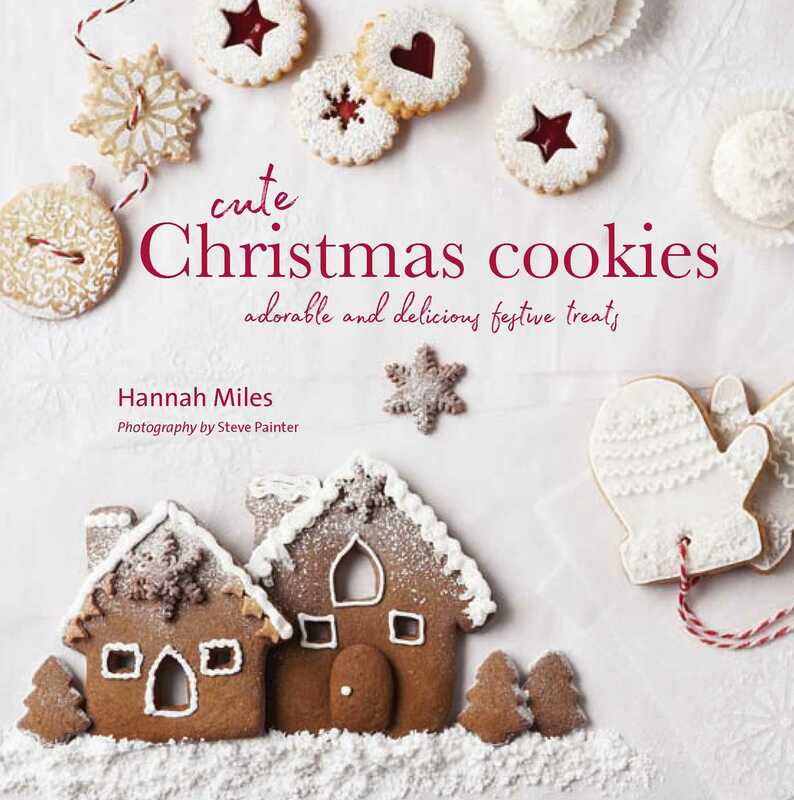 The chapters are then divided into Seasonal Magic with Coconut Snowballs, Frosted Fir Cones and Hot Chocolate Cookie Cups with Candy Cane Handles that will charm the socks off anyone. Next comes Festive Friends with Reindeer Pretzel cookies and Snowglobe Cookies decorated with meringue snowman. In Deck the Halls find Viennese Whirl Wreaths, Christmas Pudding Cookies with White Chocolate and Holly Leaves. Finally, in Gift Cookies there are stunning Mini 3D Gingerbread Houses and Hershey Christmas Kisses.